The Springs Resort & Spa is located on the banks of the San Juan River in downtown Pagosa Springs. 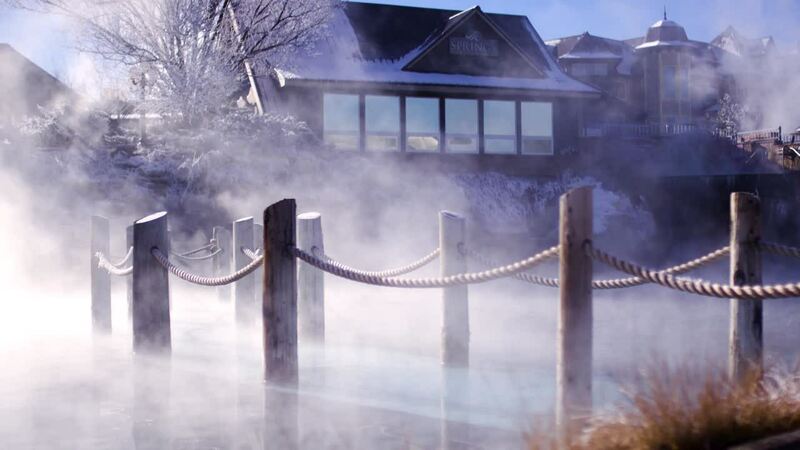 23 naturally hot therapeutic mineral pools and a mineral water lap pool fed by the World's Deepest Geothermal Hot Spring. Temperatures range from 87–114°F. Public bathhouse, lockers, showers, towel/robe rentals. Swim attire mandatory. Hotel lodging on site, hotel guests get 24-hour access to the hot springs. Full-service Spa & Salon offers massage, body treatments and facials. Combine the naturally hot therapeutic mineral waters of our soaking pools with body treatments, facials, and skin services for the ultimate in health, relaxation, and pampering. Gift certificates are available. Walk-ins and groups welcome. Buy one soaking pass, receive a future soaking pass for only $8.